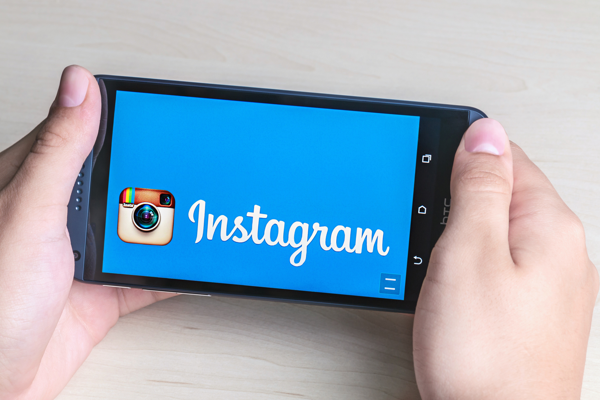 Instagram, one of the fastest growing social media platforms is a lot of fun for kids. It allows them to share photos of things they find interesting, and add filters and captions to those photos. Like a micro-blogging site, with pictures, Instagram's popularity with teens has exploded in the last three years. With that being said, Instagram is also constantly evolving, and while it can be 'good clean fun', there are some dangers that lurk on the social media app. Throughout the past few years, Instagram has experienced some major changes that you might not be aware of. We've collected a few of these more recent changes and feature additions, and have assessed how they may affect your child's Instagram safety. In 2012, Instagram rolled out their “photo map” feature. The photo map, which is now being used by millions of Instagram users, tracks were pictures have been taken, and, in some cases uploaded. This location sharing feature, which is meant to help individuals keep track of their travels, can be dangerous especially for young children. The map, literally, pulls the pictures up on a map. Other users, if the profile is not private, can see where pictures are taken and uploaded, and, in some instances, zoom in on the exact location. It doesn't take much digging to get a general idea of where a user might live, or regularly frequent, which is a huge Instagram safety issue, in our opinion. Staying Safe With Instagram's Picture Map: To keep Instagram safety intact, make sure your child's location services are turned off in their phone. Without location services, the map cannot generate where the pictures were taken. You can also turn the map off in Instagram, but disabling location services for pictures is a good idea, especially for a child who uses multiple social media services. Be sure to discuss this issue with your child, and how this feature puts their Instagram safety at risk. In May of 2013, Instagram rolled out a “tag” feature. The tag feature, similar to tagged photos on Facebook, allows users to tag other friends and users in their pictures. This feeds directly into a “tagged” tab on the Instagram app. These pictures can be seen by others, but they do not require the tagged user to accept the tag, automatically. This could potentially be problematic, especially if your child is being bullied. Staying Safe In Instagram's Tagging Feature: To keep better tabs on your child's Instagram life, be sure to check what photos they are tagged in. The “tagged” tab is separate from their picture feed, and is available on their main profile. It is the furthest tab to the right of the profile, next to the “map” tab. You can also change the settings to manually add tagged photos. Click the settings, and check “add manually”. This will ensure all tagged photos have to be approved before being added to the profile of the tagged user. Instagram Direct, a feature that was released just last year, may seem innocuous. It is an easy way for individuals you do not know to privately contact a user, especially if they are sharing photos through the Explore feature using hashtags. Hashtags allow users to search for pictures that have been posted using specific hashtags, like #dogsofinstagram. The searching user can chose to send a picture directly to any user they find, along with a caption. Staying Safe in Instagram Direct: These direct messages are much like messages on Facebook or private e-mails. To keep kids safe by keeping an eye on their direct messages. You should also regularly check to ensure their profile is private. While general profile information can be seen by anyone with Instagram, a private profile won't share any photos with individuals who are not already approved. The “photo map” and “tagged” tabs can't be seen with a private profile either. If your child gets an inappropriate direct message, simply report the inappropriate content and block the offending Instagram user. Instagram will deal with all appropriate content. Instagram can be a fun, engaging and interesting way for kids to interact with friends and family, but Instagram can also be used for nefarious purposes. To ensure your child is safe on social media, whether it is Instagram or Twitter, you should first speak with your child about the associated dangers of these social media sites. You should also have a discussion about appropriate and inappropriate content. Regular monitoring of feeds, including becoming a follower of your child's Instagram can also help you better monitor their day-to-day activities on social media platforms. Finally, it is important to fully understand how sites like Instagram works. An open, informed and honest dialogue with your child regarding social media should be the first line of defense.